EnSure Touch is a new innovative luminometer which is customisable to support your food safety and sanitation program. Using the one instrument, you can collect, analyse and report multiple quality tests including ATP, microorganisms and enzymes. Locations: Create testing points with customised fields and pass / fail limits on the go without needing desktop software. Plans: Easily group testing locations into plans and randomise test location to ensure sampling coverage. Users: Manage user access to differentiate personnel from managers. Enhanced administrator control. Results & Reports: Easily view testing results and trend analysis. Search: Quickly find specific testing plans and locations on the fly, limiting time between tests. Sync: Wirelessly synchronose data to SureTrend Cloud. Calibration: Factory-calibrated and pre-set checks to stay GMP / ISO-compliant. Retest: Swipe through failed test locations and instantly run re-tests to show effectiveness of corrective action. Settings: Customise settings for language, custom fields, test types, and simulate competitor RLU limits. EnSURE Touch is supplied Wi-Fi capable, allowing you to directly and securely synch your results with the cloud based data analysis software without connecting via USB. The EnSURE Touch system is designed to be used for multiple quality and food safety test. 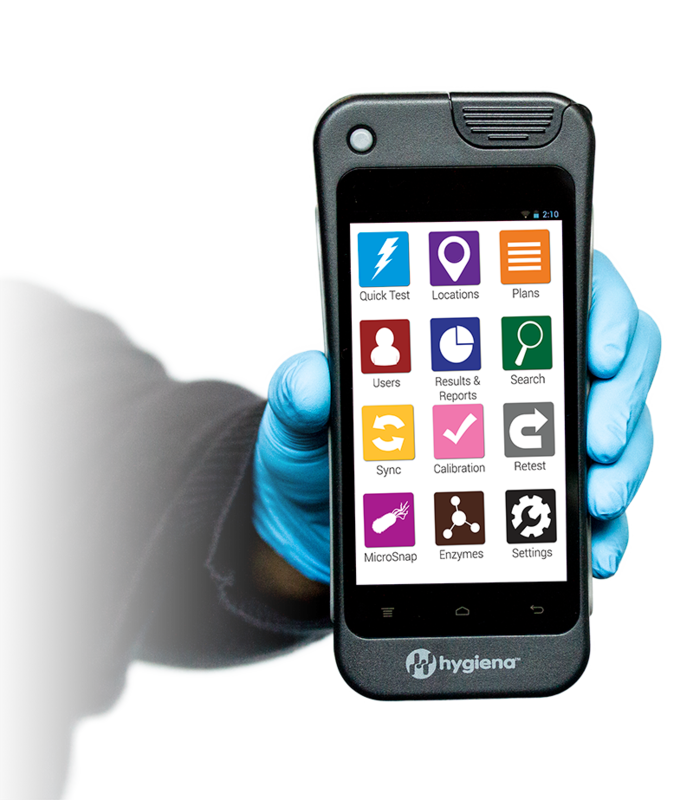 Users can use the system for ATP hygiene monitoring or have an expanded program that incorporates rapid microorganism tests for environmental monitoring and fininshed product testing. Additional tests for pasteurisation and cooking proficiency are also available. UltraSnap for Surfaces - now AOAC approved! The calibration control kit eliminates the need for the manufacturer calibration checks eliminating annual costs for this service. 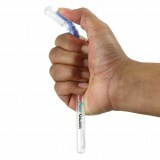 The kit includes both a positive and negative control rod and can be used with all Hygiena luminometers. Click here for further details. The positive control kit validates the efficacy and stability of Hygiena ATP devices. It includes a known amount of ATP for validation of performance. Click here for further details.